Pallets can create many fancy additions for your kitchen spaces and that too at low cost and low effort demanding tasks. 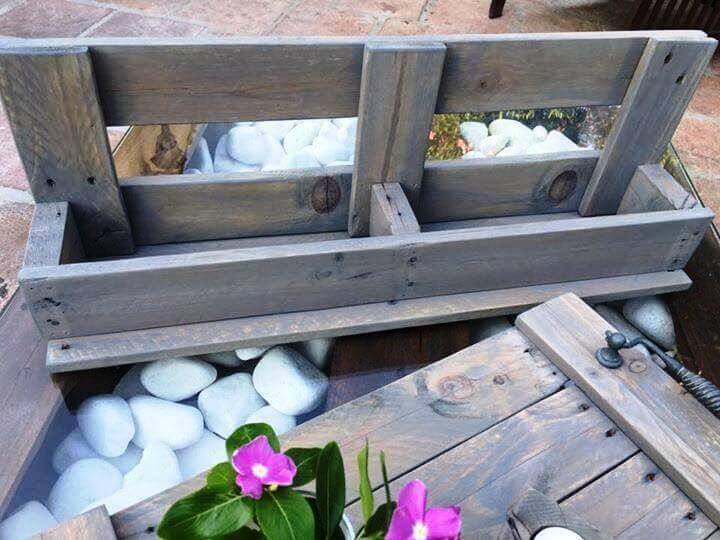 There are many kitchen things that can be created from the pallets and you can witness a big change in your lifestyle after their addition to your kitchen. And here we have some really fun yet easy ideas with which you can tempt the decor and functionality of your kitchen spaces. So have a look at this DIY pallet tray, candle holder and the wall mounted shelf. The rustic tray with the accent looking candle holder would make your servings more impassive and style to get sure praising remarks from the guests. The wall mounted shelf or rack would is for the splendid storage of the spice racks. 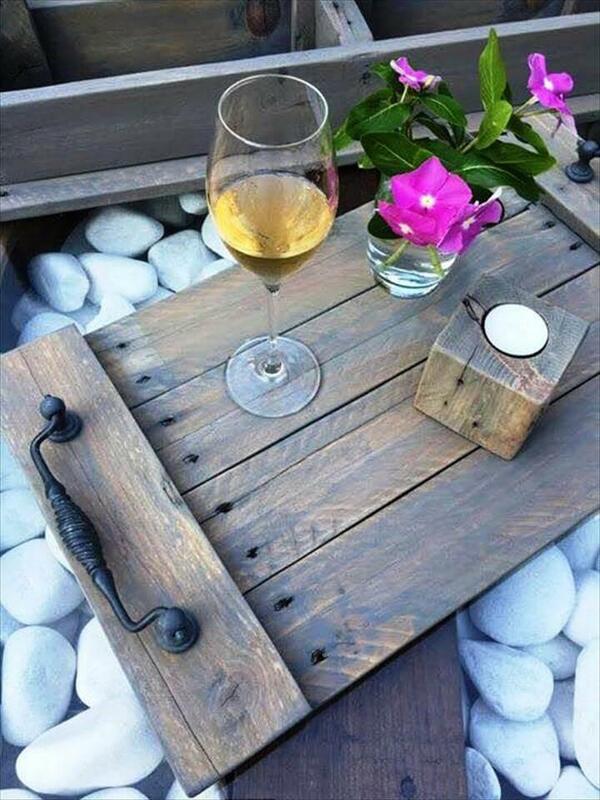 The tray and the shelf have been made with the nailing of pallet slats together while the candle holder is a pallet block piece with a hole to hold tea light in it. Their unfinished rustic look is the willing taken step to make them look totally whimsical. 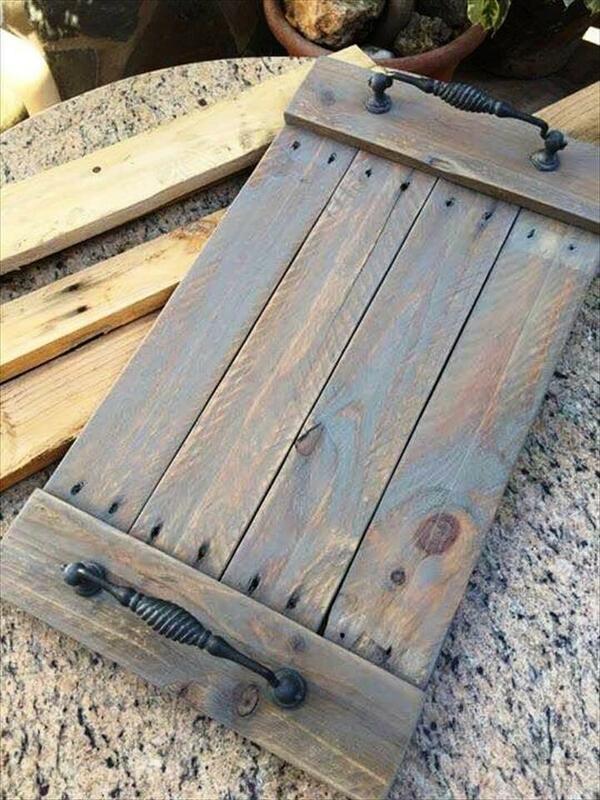 The tray in the picture has been made getting some pallet slats stacked to each other and two metal handles has been used to pick it up when you are to serve coffee, tea or snacks. To accompany the gorgeous serving tray there is a cute and small pallet candle holder too and would add a romantic touch to your servings and would surely impress the guests. The pallet serving tray belongs to the kitchen section of the house and to make your kitchen more organized you can also make a wall mounted shelf to hold your spice racks in.